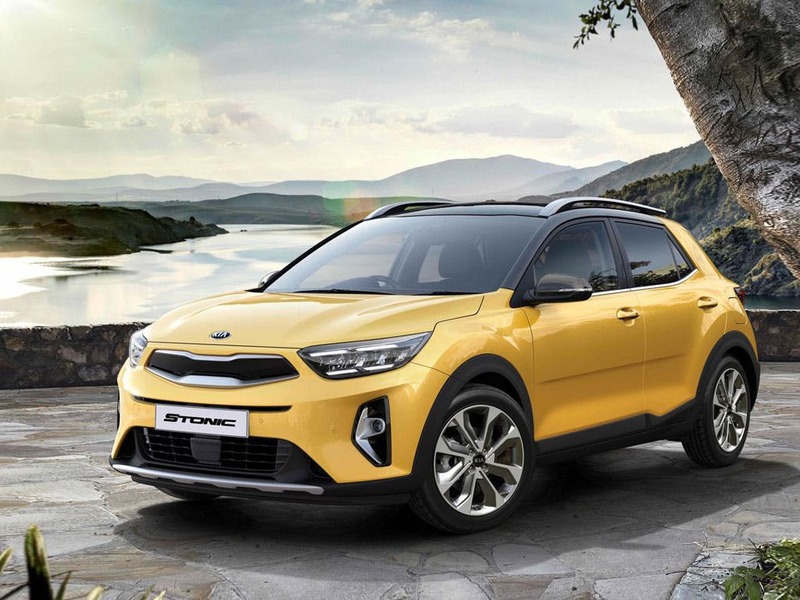 We sell the full Kia Stonic range including the Stonic 2 and First Edition. Get in touch to book a test drive. Our showrooms in Essex and Hertfordshire are open until 6:00pm today. 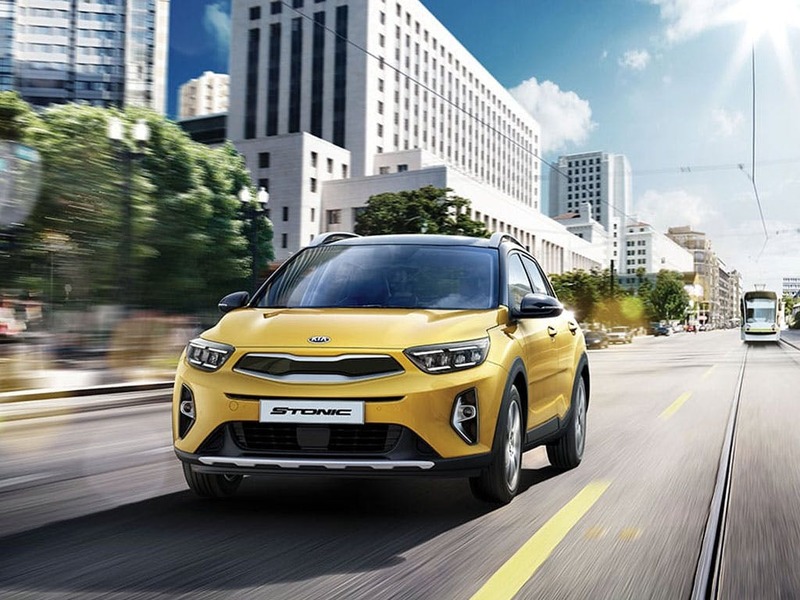 The All-New Kia Stonicis uniquely designed as a compact Crossover, executing the perfect balance of precision and practicality. 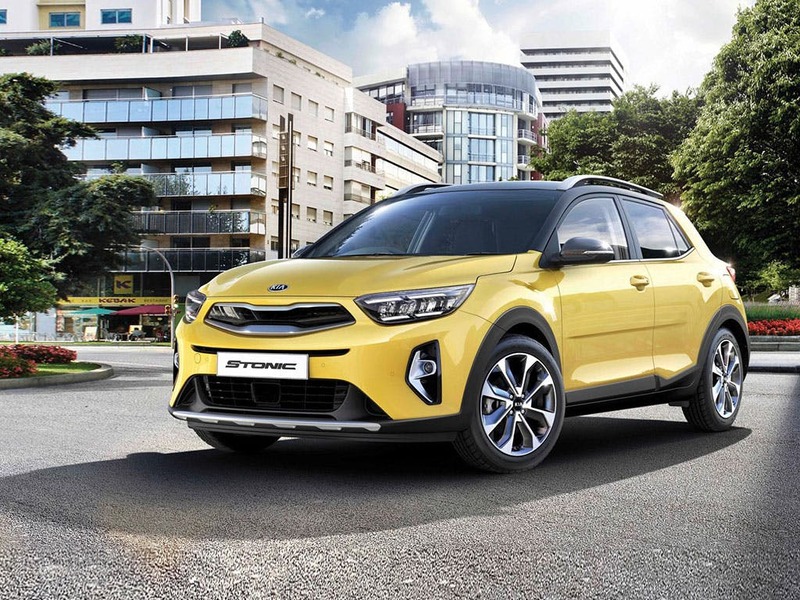 The Stonic boasts signature Kia features such as the “tiger-nose” grille and unmissable “C pillar” styling. The bold C-pillar wraps itself around the roof panel creating a unique Crossover design that is unlike any other. 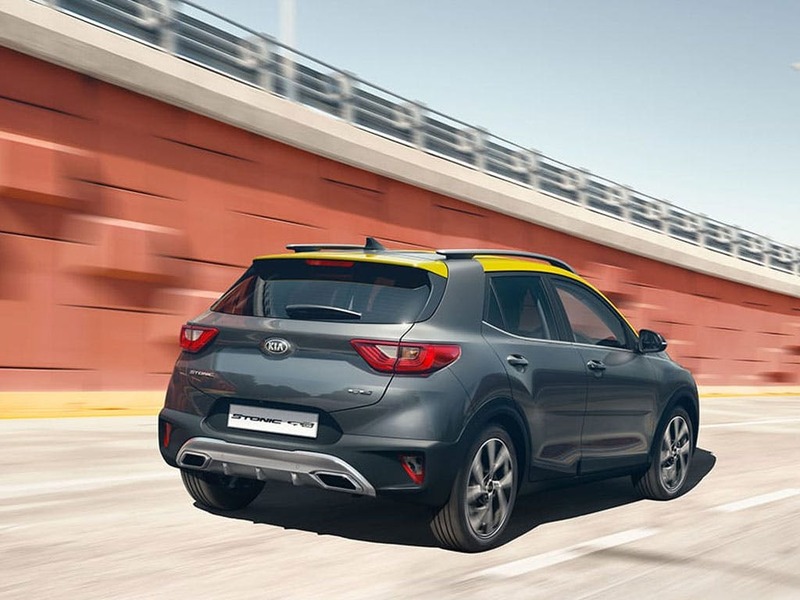 The crafted design of the roof rails adds to the bold design of the eye-catching Kia Stonic. With distinct exterior colour options, the Stonic offers a beautiful combination of a two-tone roof matched with a range of colourful interior styles, such as orange, green or grey. 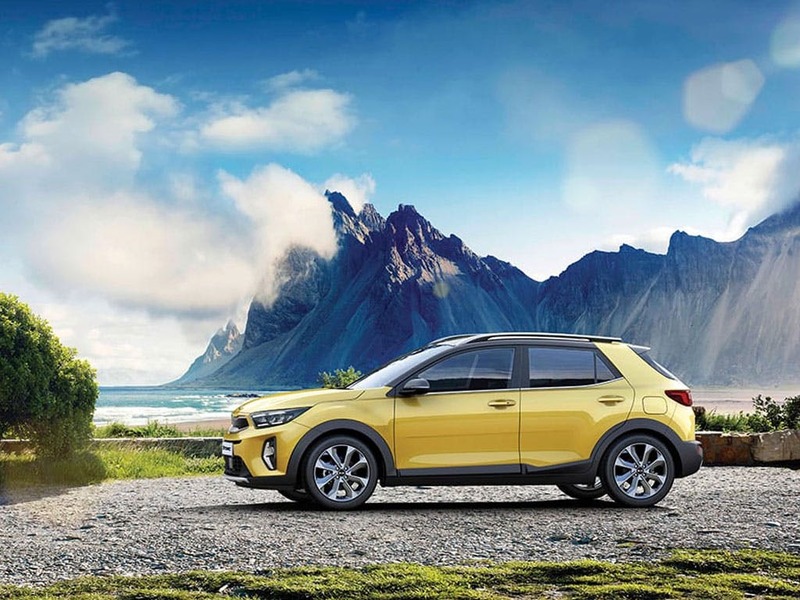 These daring colour combinations will ensure your new Kia Stonic stands above all the other SUV’s. 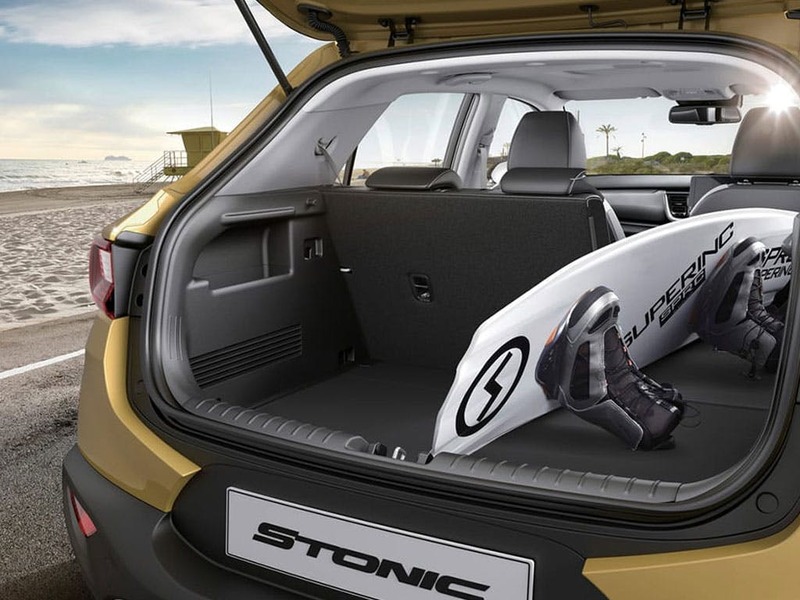 The All-New Stonic provides you with the chance to add your individuality to your car with a variety of interior trim colours. With options such as orange, green or grey with black fabric upholstery and grey stitching, add your personal touch to your brand-new SUV. The All-New Stonic‘First Edition’ will feature luxurious grey faux leather and black fabric for maximum style and comfort. With three alternative interior colour packages and a D-cut steering wheel to compliment the colour stitching. 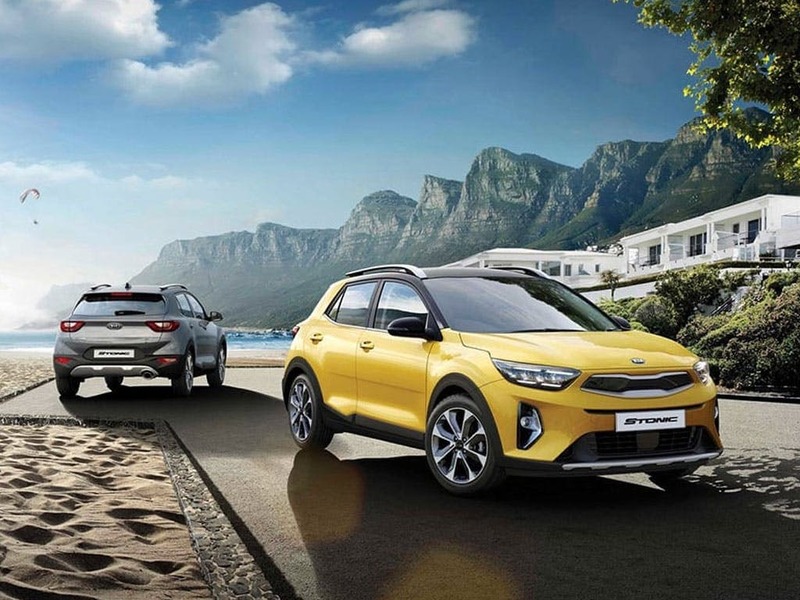 There are a variety of petrol and diesel engines available in the new Kia Stonic. All vehicles offer manual transmission and the Intelligent Stop & Go feature, making the driving experience efficient and enjoyable. You will have the option to choose a 1.0 litre TGDI (turbocharged gasoline direct injection) engine with 118bhp or 1.4 litre naturally-aspirated MPI (multipoint injection) with 98bhp, with a 1.6 litre 108bhp diesel engine. 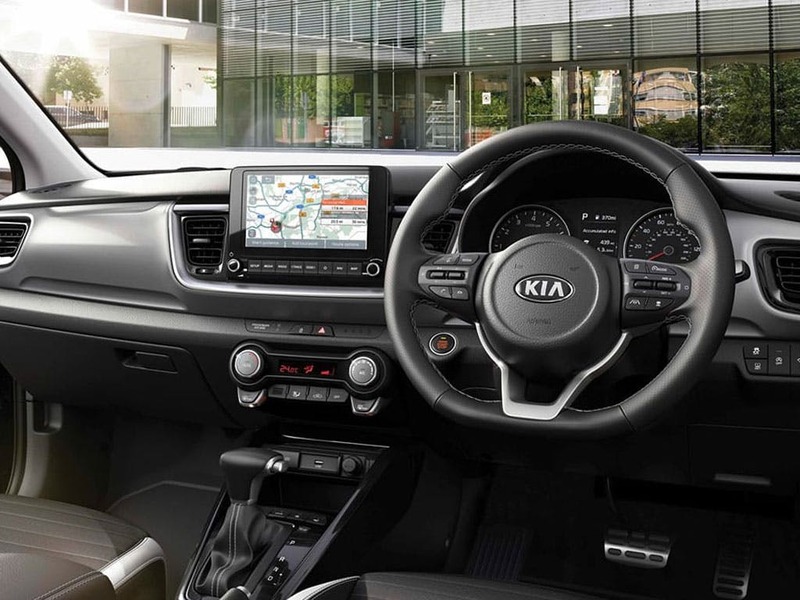 Kia technology is second to none and the Kia Stonic will provide the leading infotainment technology. 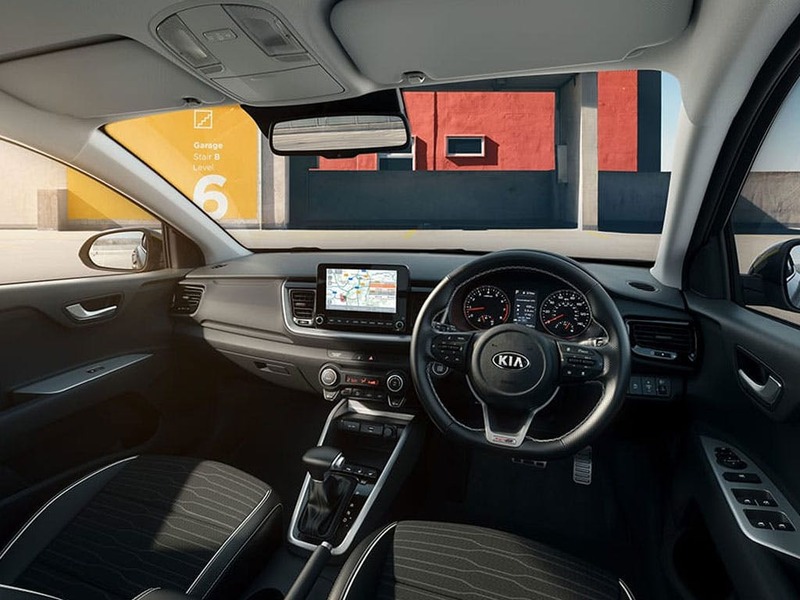 With a 7 inch colour touchscreen, DAB radio and Bluetooth with voice recognition the Kia Stonic will enhance your driving experience with the best in car entertainment system. Apple CarPlay™ and Android Auto™ will also be standard features available, allowing you to navigate easily using Smartphone mapping apps (Maps or Google Maps)..
With progressive safety features the All-New Stonic will offer complete reliability and protection. Certain advanced safety features will be provided on selected Kia Stonic versions including: Autonomous Emergency Braking (AEB) with pedestrian recognition and Forward Collision Alert, Blind Spot Detection (BSD) with Rear Cross Traffic Alert; and Lane Departure Warning System (LDWS) with High Beam Assist (HBA) and Driver Attention Warning (DAW). Exterior styling. calls and text to be managed via the touchscreen infotainment or the voice recognition system.